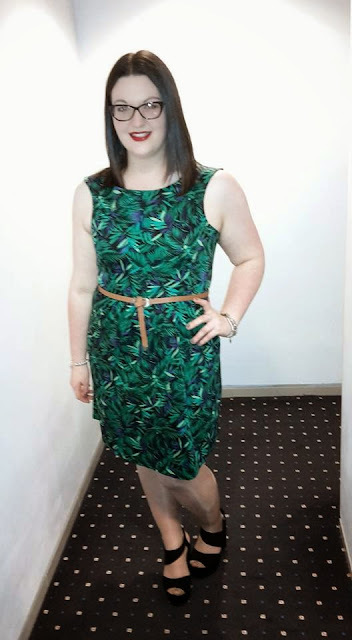 I’ve been to two weddings in the last fortnight so I thought I’d share a couple of photos of what I wore! As they were one weekend after the other, there was absolutely no chance of recycling an outfit so I went with two dresses. First up was the wedding of Becca and Toby and I went to their evening do at York Racecourse. I finally got round to wearing a dress that the lovelies at La Redoute sent me last year (though I blogged about it at the time, I never had the occasion to wear it until now!). The dress is no longer available but my shoes are New Look and current season. The second wedding was Ash and Rachel's and it was up in Durham. The dress I wore is current season and from Yours Clothing. I love their dresses as they’re knee length and made to fit and flatter curves! I covered up with a New Look shrug (from my mother’s wardrobe) and I wore the same shoes as they’re so comfy! 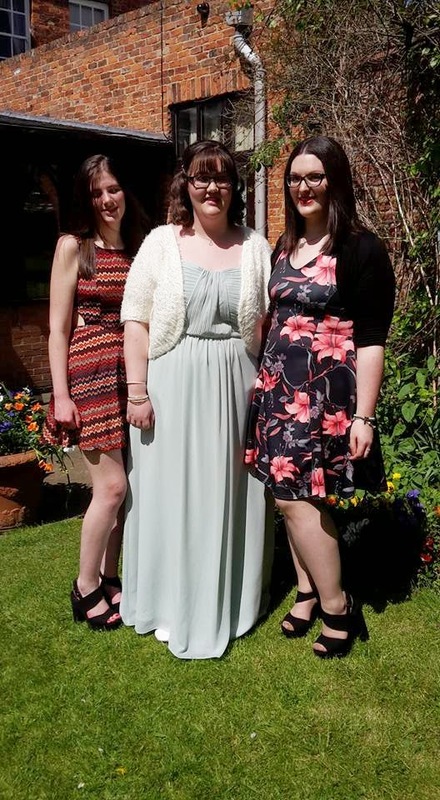 I didn’t get a photo on my own so this one features Gemma (left and wearing the same shoes as me) and Catherine (middle and a bridesmaid - her dress is from Debenhams). Have you got any weddings coming up? What will you be wearing?